Pastry Case Layered with Plum and Raspberry Jam (11%) and Almond Flavoured Sponge (28%), Topped with Decorated Fondant Icing (27%). 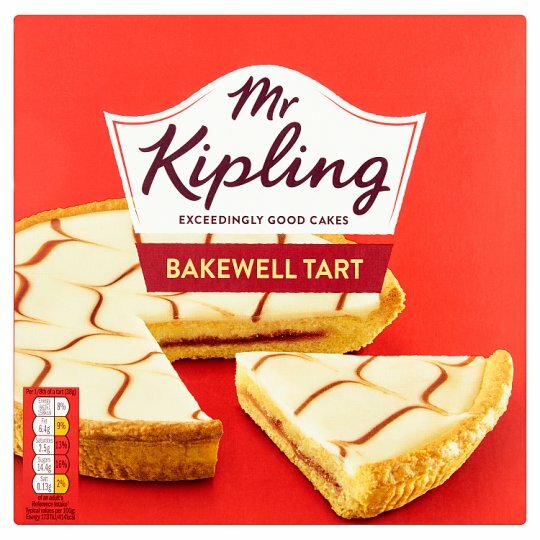 It's the little things that mean the most like an exceedingly good cake from Mr Kipling. We want you to enjoy this Bakewell Tart at its very best. If you are not completely satisfied, or if you have any questions or comments, please retain the packaging and contact our consumer care team.